Everyone else was doing 2 clean and jerks, but my shoulder won't allow that, yet. Goal was to finish in less than 5 minutes (faster than AMRAP). I got 40 KBS in the AMRAP, but felt well rested for round 2 and got those unbroken. Row was comfortable, so I finished well under the 5 minute limit. 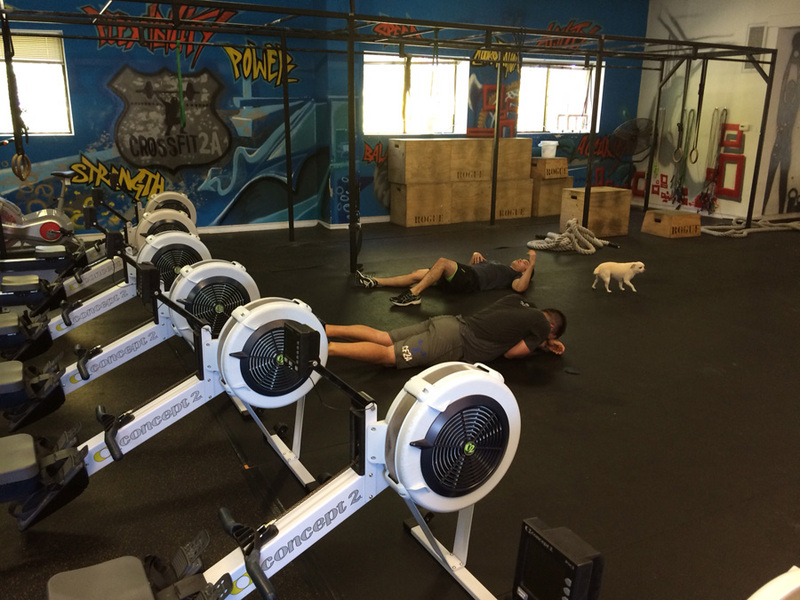 Frank and Clark got way too many burpees (no KBS for them), so they were dying in round 2.